The camp included a performance by a show-stopping magician who amazed our kiddie campers with 'how-did-he-do-that' magic tricks and balloon making. 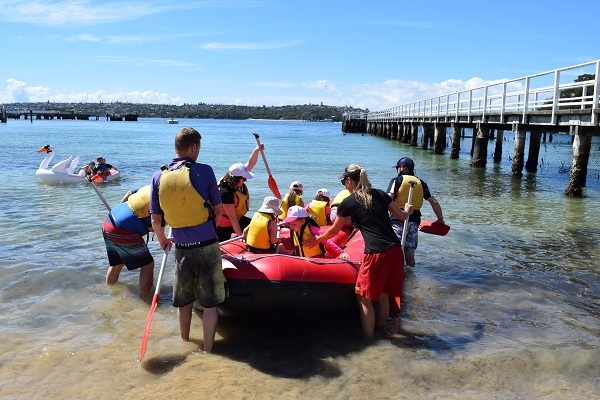 Campers participated in a range of outdoors activities including barefoot bowling, a high tea, a 'parents only' dinner, movie night and a beach-style picnic. The camp also provided therapeutic activities. Families were invited to share photos and memories of their child by creating family trees. We know that many of our families find meaning in learning the stories of others while sharing their own stories and this helps to reduce their sense of isolation. On Sunday, our campers gathered for a Remembering Service for their loved ones. We shared a poem and released leaves with messages and flowers into the ocean. We finished the camp with a relaxed beach picnic. Expressing feelings, sharing memories, trying new activities and learning that one is never alone in their grief, is central to the camp. It's a place where feelings of togetherness are fostered and participants feel free to laugh, cry, play, create and remember their child or sibling. Our families have expressed that they and/or their children feel 'normal' because everyone on the camp has passed through a similar experience and understands what it's like to lose a precious loved one. "It's good to know that people around me have lost their child too. I felt like this year was my year to connect with others. It's been good for my girls to meet other children who are just like them. I've never seen them immediately connect like they have done on this camp" Bear Cottage bereaved mum.